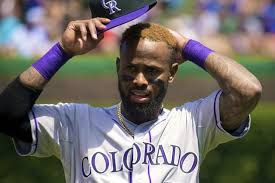 MLB Commissioner Rob Manfred has placed Rockies shortstop Jose Reyes on temporary paid leave while waiting for his domestic violence case. Reyes was arrested on Oct. 31 in Maui, Hawaii, after an alleged incident at a luxury hotel in which he was accused of abusing his wife. Jay Bruce to Blue Jays ? Joey Bats "No Hometown Discount"